If Ayesha Chottani hub is your favorite hub then you must be happy to know that now this clothing hub will sooner be launching its Eid collection 2015! Yes, this Ayesha Chottani eid collection 2015 by Shariq textiles will be launching on 25th May 2015 and in this post, we will be giving you the complete highlights of this collection line. 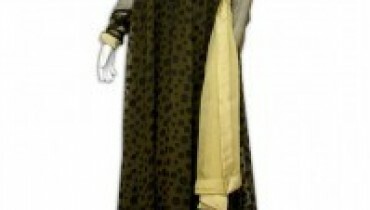 Here in this collection, you will be having thread work and also lace work dresses. It is seen that the hub of Ayesha Chottani and the efforts of Shariq textiles have done an amazing work and that is why they have come up with such kind of fantastic kind of Eid collection 2015. This collection has set like short and medium shirts, it is an elegant collection where you will be pairing these shirts with tights and they can also be fused with the straight pants. If we talk from the embellishment point of view then it is seen that this hub has come up with much decent kind of thread work, beads work and also with lace work. Though it is a traditional collection but you will also see the touch of modernity in these Eid dresses and stylish outfits. For the colors, this Eid collection 2015 is present in the color scheme of red, white, green, aqua and peach kind of shades. 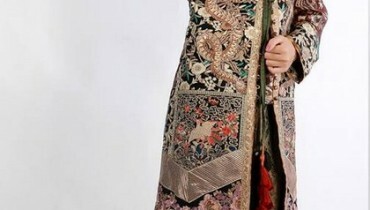 These Eid dresses will make your Eid much special now. Just check out all the pictures of this Ayesha Chottani collection 2015 and let us know your feedback too that which of the Eid dress is the best and special one for you, try out these Eid dresses and grab all of them. If you want to make this Eid a special one and an ultra amazing one then have these Ayesha Chottani Eid dresses 2015 right now.